W hen preparing to sell a business, a mistake you will want to avoid is failing to pay enough attention to the variety of legal issues involved in a business sale transaction. The wrong legal mistake can stop a sale in its tracks. Worse, it could cost a small fortune to unravel. Thus, it is critically important to carefully analyze all relevant legal angles to the sale of your business. Today's blog post will look at some of the key legal points sellers should consider long before putting their business on the market. 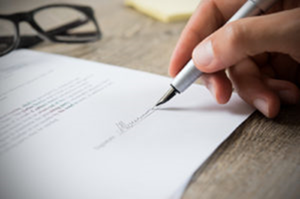 A critically-important step for any seller to take is to have all potential buyers sign a Confidentiality Agreement or Non-Disclosure Agreement (NDA). These agreements benefit sellers because, in the event of a deal that falls through before completion, the buyer is prevented from disclosing any details to other parties. Without an NDA, the buyer could reveal important aspects of your discussions and negotiations. Obviously, that could negatively impact your business and additionally have an impact on a future sale. When it comes to selling a business, trying to cut costs or corners on legal issues is a big mistake. Investing in proven counsel is a must when preparing to divest a business. A good merger and acquisition transaction attorney can give you a roadmap of legal moves you should make, as well as pitfalls to avoid. Hiring an attorney with established M&A transaction experience will assist you in constructing ironclad agreements. There are a variety of risks that sellers will face when divesting a business. For example, the seller needs protection from the scenario of a potential acquirer recruiting key employees to a different business. Without a tight NDA and other legal agreements, a buyer could “pass” on buying a business, and then turn around and take away employees or otherwise weaken the business up for sale. Another form of protecting a seller's interest is a business acquisition letter of intent or LOI. The LOI should be one of the key tools at your disposal in negotiating a deal on the sale of your business. The letter often serves to bridge the gap between receiving an indication of interest – used for initial, basic price and terms of a business purchase – and reaching a definitive asset purchase agreement or stock purchase agreement. An LOI can be either binding or non-binding, depending on circumstances of the deal. It should include detailed terms of the agreement between the selling company and the purchaser and should have been negotiated previously. These steps allow the sale to move forward into due diligence beginning and prior to crafting a definitive purchase agreement. The above are just a few errors in the legal realm that individuals who set out to sell a company too often make and regret after the fact. When preparing to sell your firm, the cost of investing in the legal aspects of selling your business is well worth your time and money. If your legal bases are covered, you will have a much more successful experience selling your business. The best preparation you can make, before putting your business up for sale, is the advice of an experienced mergers and acquisitions transactions attorney and the business guidance of a proven M&A broker and adviser, investment banker or, for smaller deals, a business broker. IBG’s professionals have provided merger and acquisition services to the US middle market since 1986. Their award-winning M&A broker and advisor experts have an industry-leading track record of 1,100 + successful transactions.